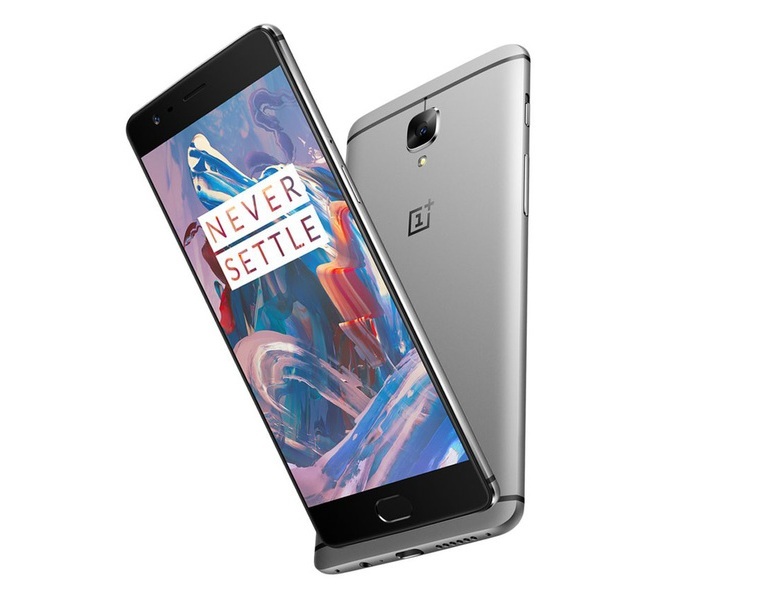 OnePlus 3 (aka OnePlus Three) is now available for you to buy at Amazon. We are glad to tell you that most of our speculations about the device held true. As we have already discussed in our post in leaks and rumors section, The OnePlus 3 sports a Quad Core Snapdragon 820 CPU, 6 GB Ram, 5.5 inch Full HD display and comes with 64 GB internal storage. Disappointing thing about the OnePlus 3 is the lack of storage expansion. In terms of design, this time OnePlus 3 comes with a fingerprint sensor placed at the home button (much like Samsung phones). In terms of camera, it comes with a 16 MP rear camera with optical image stabilization, Phase detection auto focus & a 8 MP front camera. 64 GB Internal Storage. NOT Expandable. 16 MP (f/2.0 aperture) Rear camera with OIS (optical image stabilization), phase detection auto focus & 2K Video support. Whereas a 8 MP (f/2.0 aperture) Front camera with Full HD Video Support. Fast Battery Charging: Dash Charge (60% in 30 Minutes). 12 Months Saavn Pro Subscription. 12 Months double data offer by Idea. 12 Months Accidental damage protection by OnePlus Care. 12 Months offer on kindle app. DISPLAY 5.5 Inch Full H.D IPS Display. Resolution 1920 x 1080 pixels. (~401 p.p.i pixel density). CAMERA REAR 16 MP (f/2.0 aperture). With phase detection auto focus, optical image stabilization (OIS), and LED flash. | Features: Geo-tagging, touch focus, face/smile detection, panorama, H.D.R. | Video Features: 2160 p@30 fps (2 K Recording), 1080 p@ 60 fps, 720 p @ 120 fps. H.D.R recording | FRONT/SELFIE CAMERA 8 MP (f/2.0 aperture). Video Features: 1080p Video support. STORAGE 64 GB Internal Storage. Not Expandable. FEATURES Fingerprint sensor. | Fast Battery Charging: Dash Charge (60% in 30 Minutes). | Corning Gorilla Glass 4 Protection. | Rear camera with OIS. | 4 G Support. SENSORS Fingerprint, Accelerometer, gyro, proximity, barometer, compass. It is now exclusively available at Amazon For a Price tag of 27,999 Rupees in India.